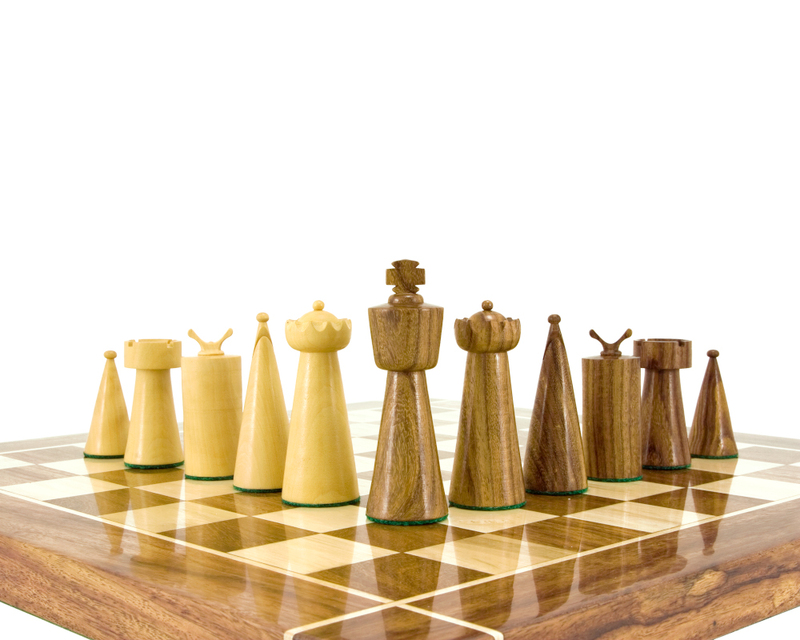 Perfect for a 15" (40 cm) board. 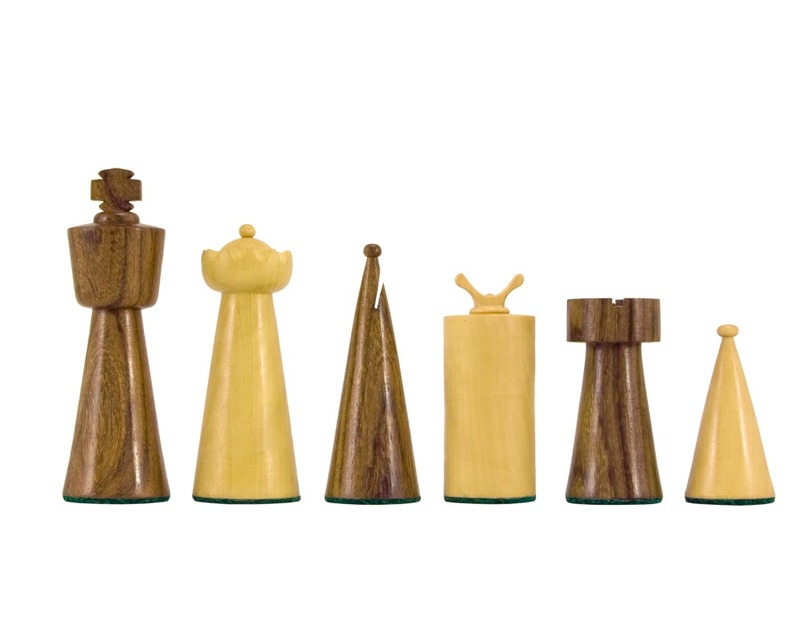 Carved from golden rosewood and boxwood, the Art Deco Chess Pieces are a chic, cylindrically shaped series of contemporary pieces. 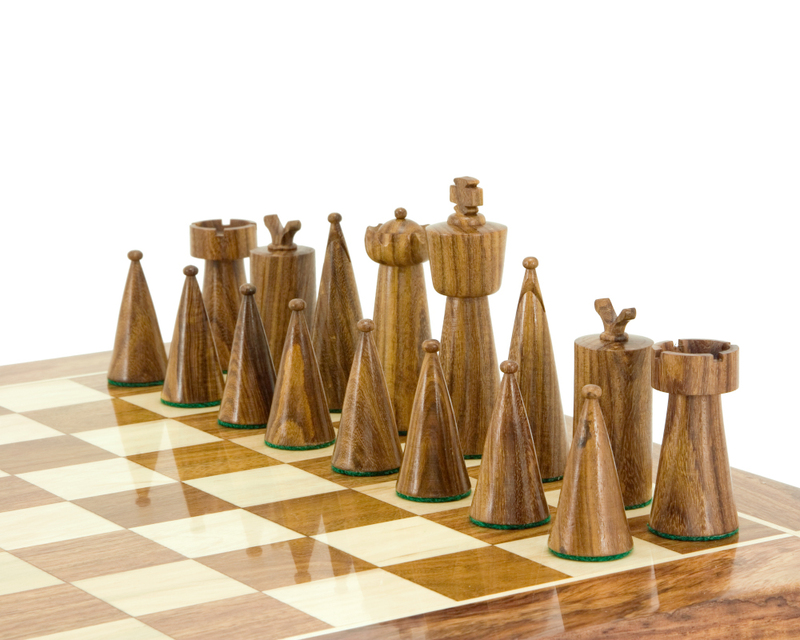 Their minimalist design brings with it a simplicity we often forget when engaged in the complex game of chess. 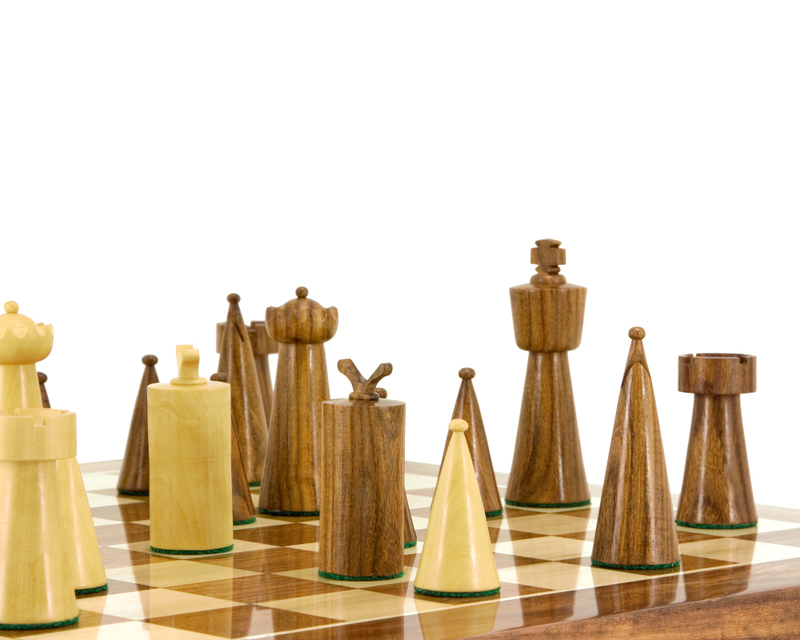 The pawns, with their robust cone shape, convey the idea of this simplicity fantastically, confounding the Art Deco series’ primary characteristic of cerebral clarity. 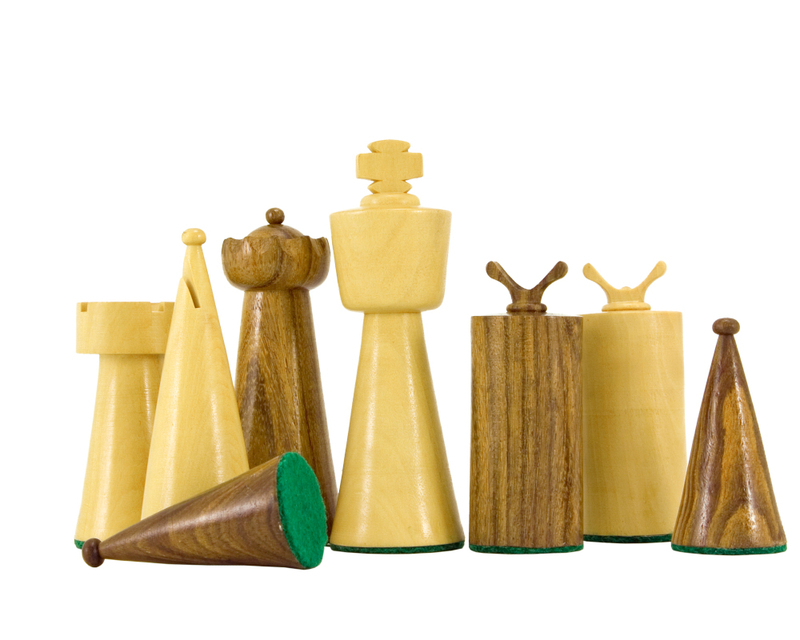 The bold, geometric shapes are more clean-cut than traditional chess pieces, with the bishops and knights noticeably adherent to Art Deco conventions rather than the Staunton style. 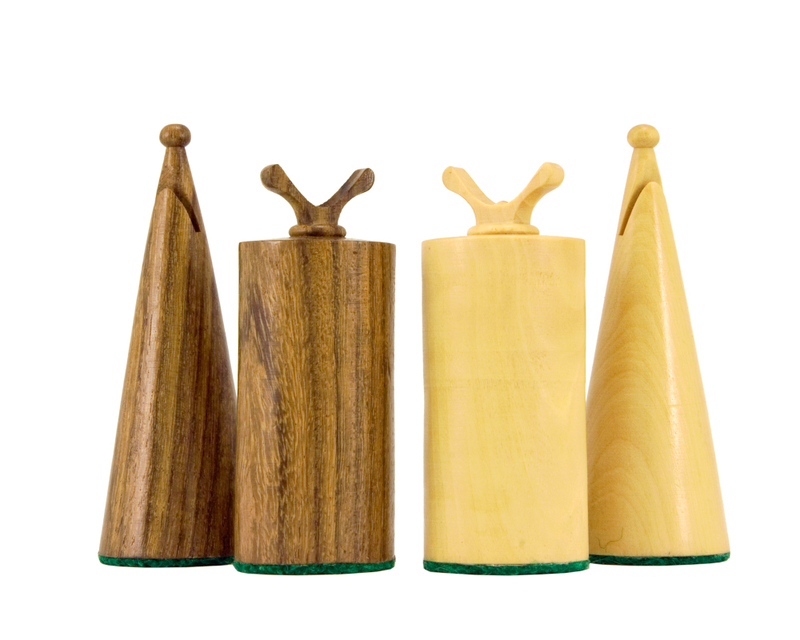 The king is 3.5 inches (89 mm) tall and has a base diameter of 1.2 inches (30 mm), making it suitable for boards of around 15 to 16 inches (40 cm). 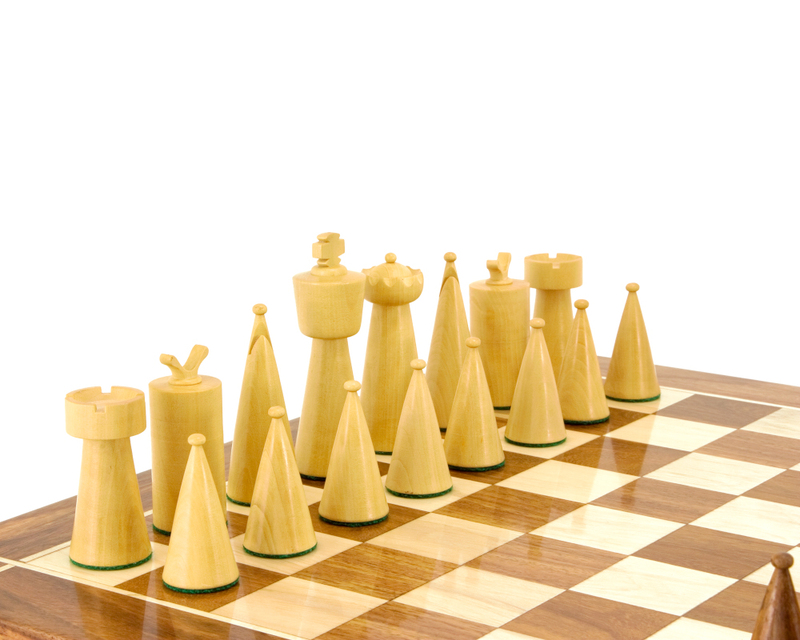 "Just what I was after - great design."